I was a jumble of different feelings as I began to make my way to the west. As far as song places were concerned, Latin America was done. The most difficult task of my quest was complete. Still, I knew it could be up to two months until I was back on American soil. 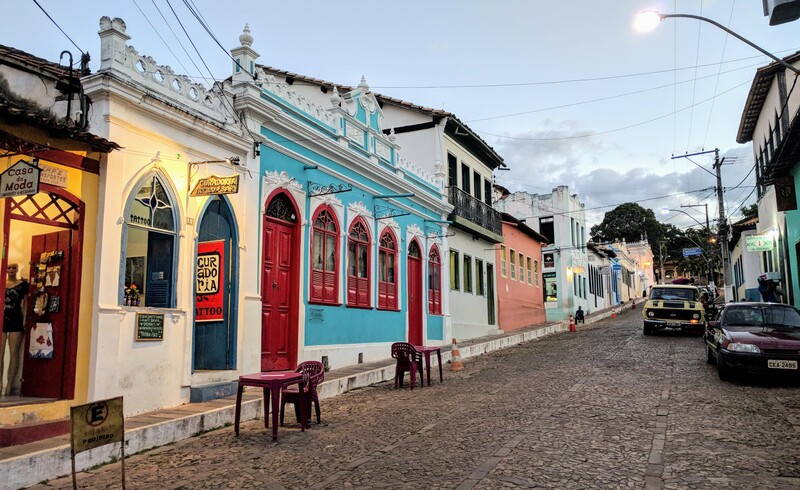 In THIS POST, I explained why I decided not to just ship home from the east coast of South America. I knew that this decision was perhaps the most important one of my entire journey. 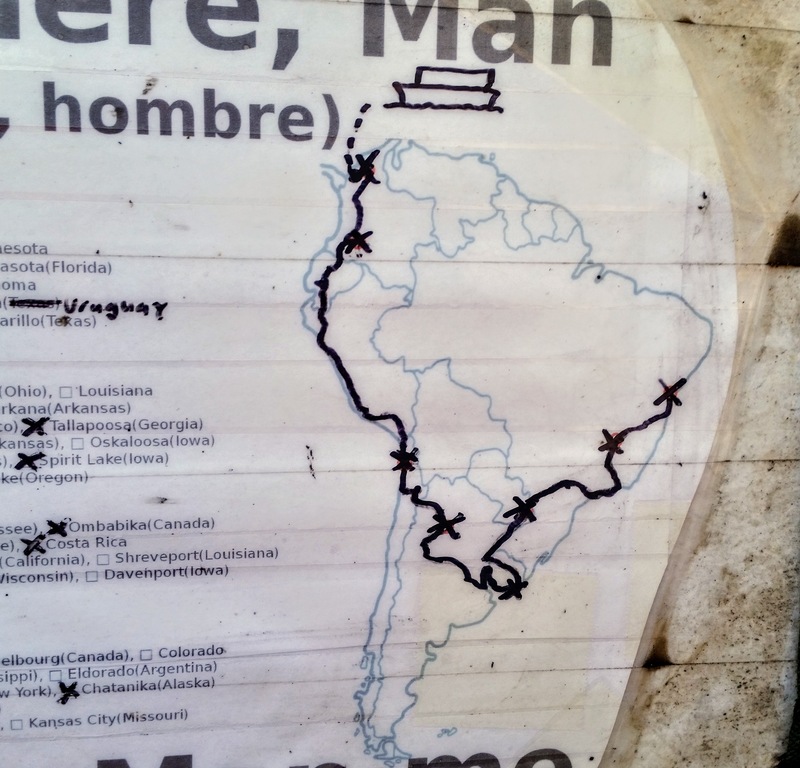 I was willfully taking on thousands of unnecessary miles over difficult terrain, through the Amazon and over the Andes. As I’ve tried to explain many times, South America is BBBIIIIIIGGGGG. 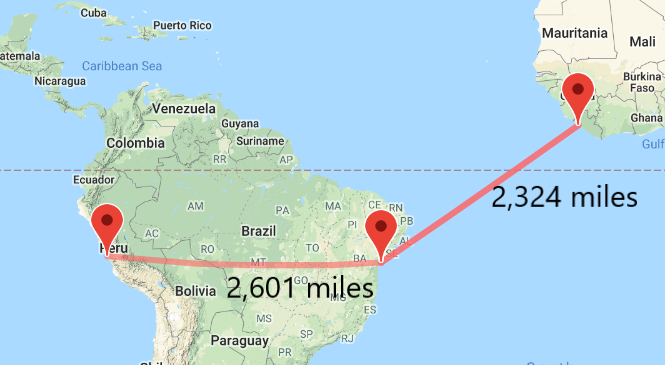 Indeed, from where I sat in Salvador, I was actually closer to Africa than I was to Lima, Peru. I had yet to conduct thorough tests of Annie’s buoyancy and Timbuktu was not in our song, so going west still seemed like the better decision. Though I’d tried to do my homework about what to expect on this route, I found precious little information available. It was safe to say that our path was not the typical trail for tourism. I didn’t take very much media on the day and had an uneventful ride. But when I reached Lençois, I made a decision that would affect me for weeks to come. Even though I was low on fuel, I passed up the first gas station. I still don’t know why I did this, but it ended up being one of my best decisions of the trip. I don’t know if I believe in love at first sight, I’ll have to get back to you on that one, but I’m a firm believer in friendship at first sight. 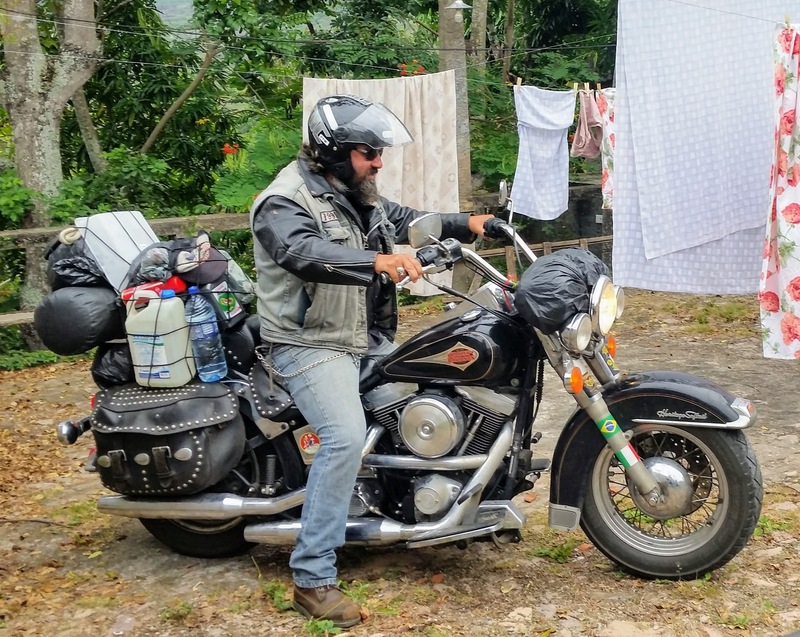 As I pulled into the second gas station I saw two motorcycles loaded down like pack mules. Even before my kickstand touched the concrete, I knew I had two new friends. “We pulled into the gas station in Lençois and the attendant started filling up our tanks. He asked us about our trip, where we were from and how many kilometers we had covered. 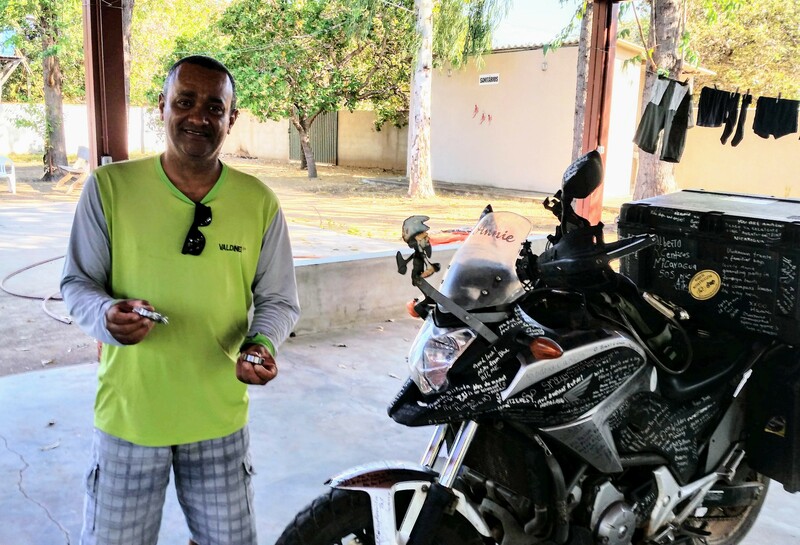 We proudly told him that we had now covered over 7,000 km in our journey. The attendant seemed really impressed by this. This is how I met my new friends, Guidini and Farelo. They were both from the state of Paraná . 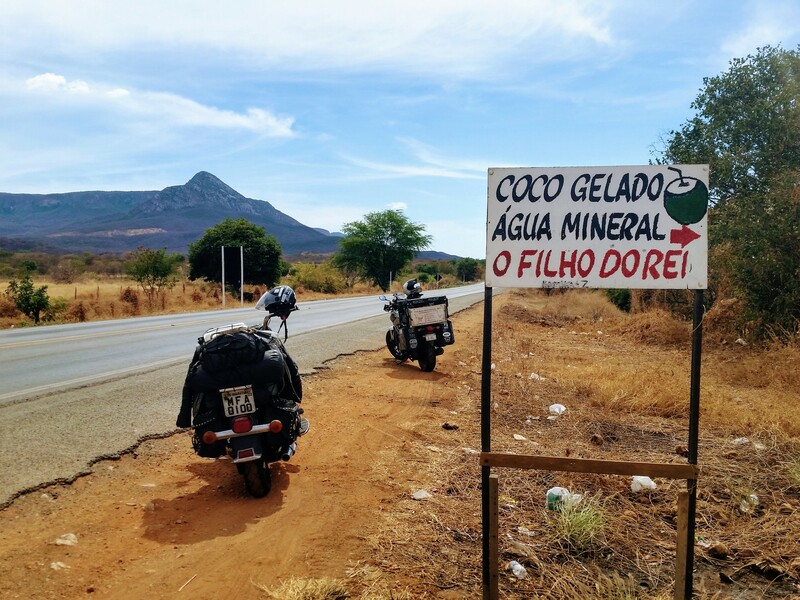 This is the state in southern Brazil where our time in the country began. 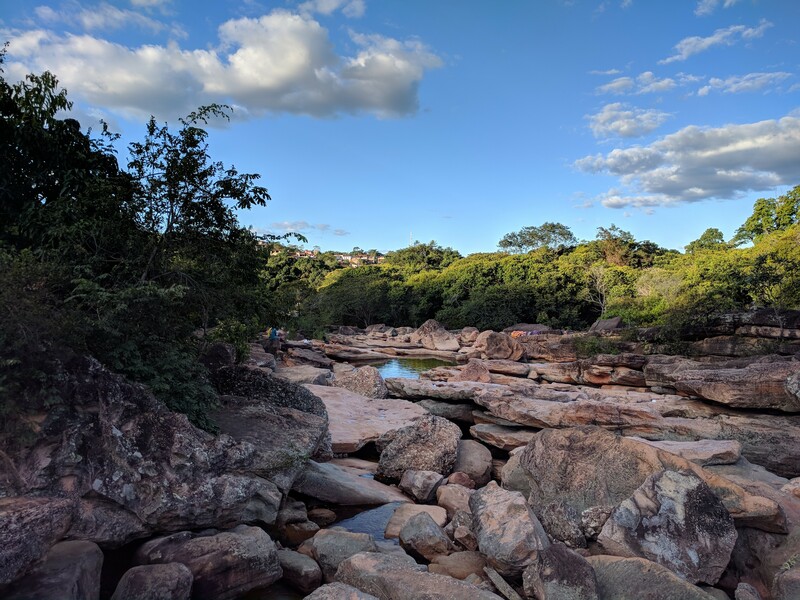 We had our trip to Foz do Iguaçu and our trip to a Brazilian hospital. 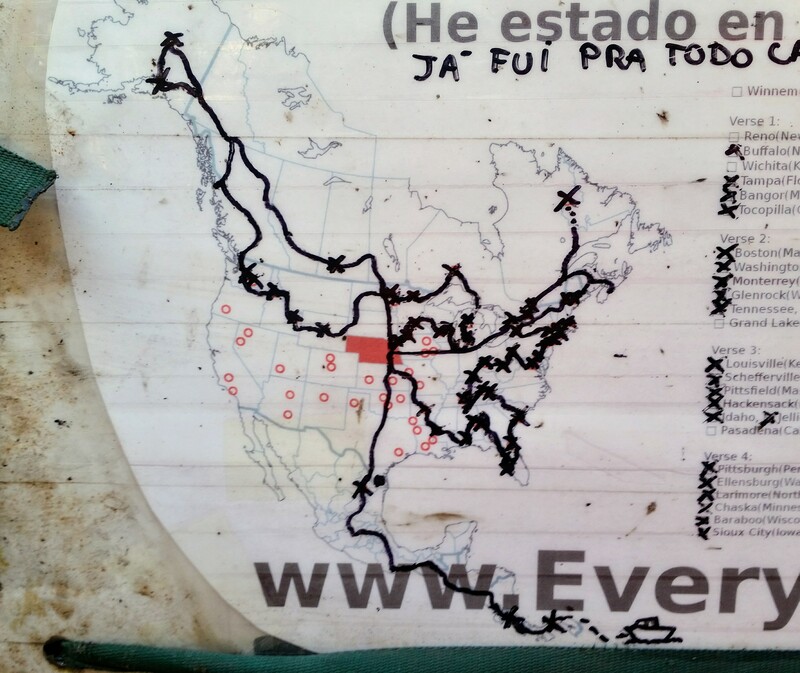 They were about a month into their counter-clockwise loop around the eastern half of the country. 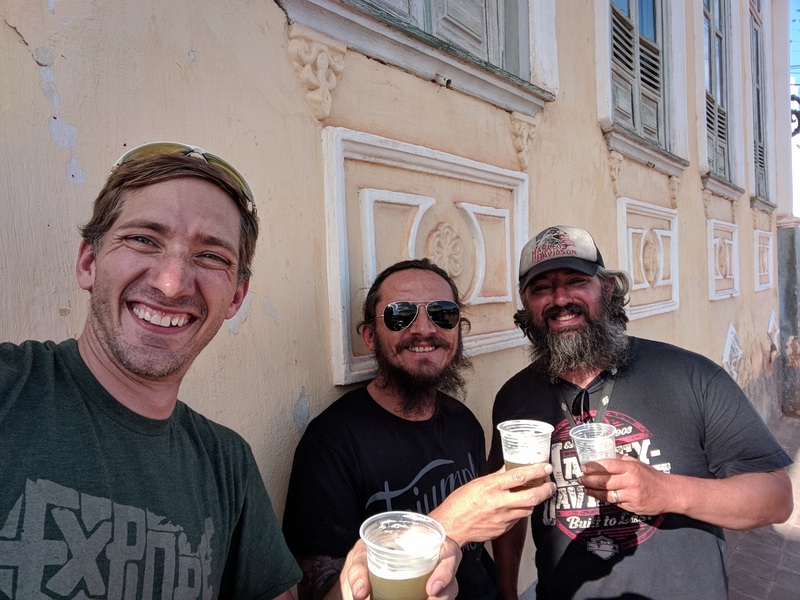 They treated me to some caldo de cana (drink made from sugar cane) and we had a great time talking about our trips. 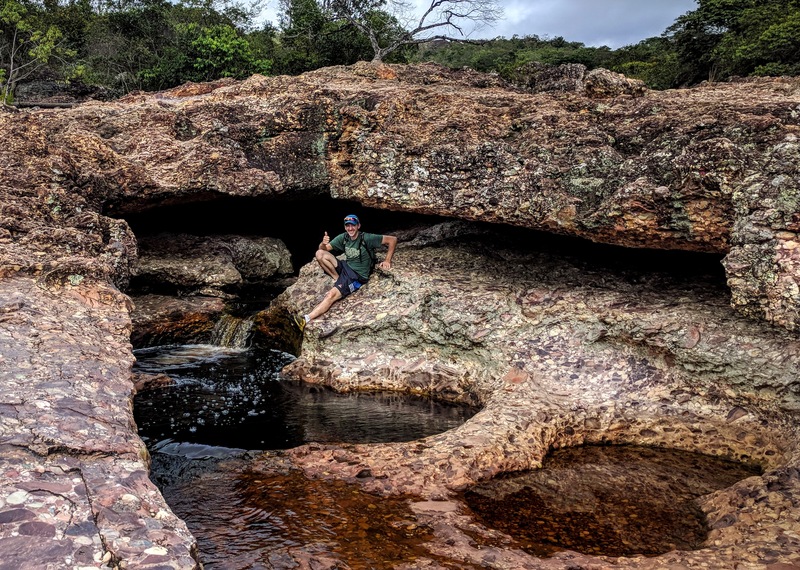 We had all come to Lençois to see some of the sights around Chapada Diamantina. 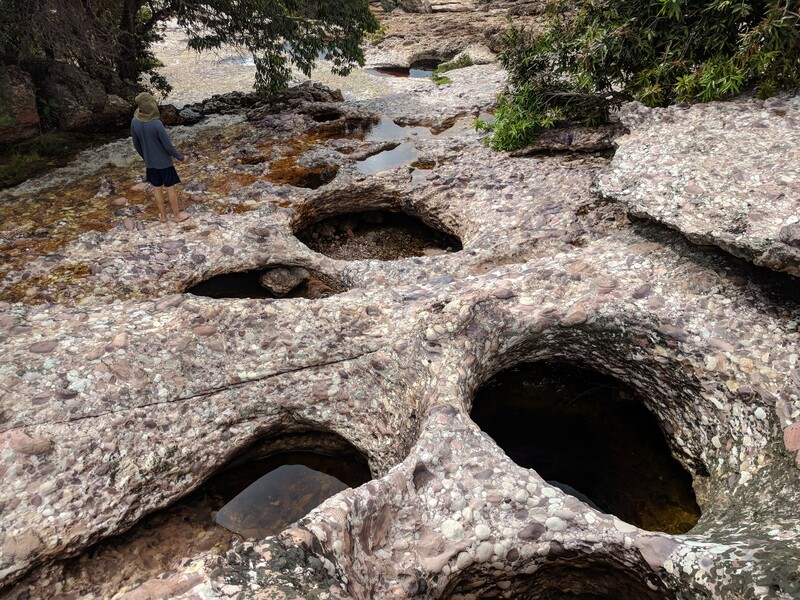 This is another site in Brazil renowned for its natural wonders and beauty. Attentive readers of this quality publication will note that we had already visited a place named Lençois (HERE), as well as a place named Diamantina (HERE). One might be tempted to say that Brazil has a redundancy problem. I would just remind you that there are 42 places named Springfield in the US. Guidini, Farelo and I found a place to stay at Pousada Violiero. I’m not sure how they negotiated it, but I had a private room with three beds that was just $12. The parking area was accessible only by taking an interesting five minute ride through bumpy paths and steep alleys. We had some daylight remaining so we took a little hike to the river that runs down from the plateau above and through the town. Lençois is yet another colonial town that grew because of the mining operations in the area. How many of these does Brazil have?! We grabbed supper in the town square. Despite my limited Portuguese, we had a great time chatting. The Pousada had a really good breakfast. As we ate, my friends told me that they had decided to stay an extra night. This matched up with my plan and meant that we would be traveling in the same direction the next day. This was great news! 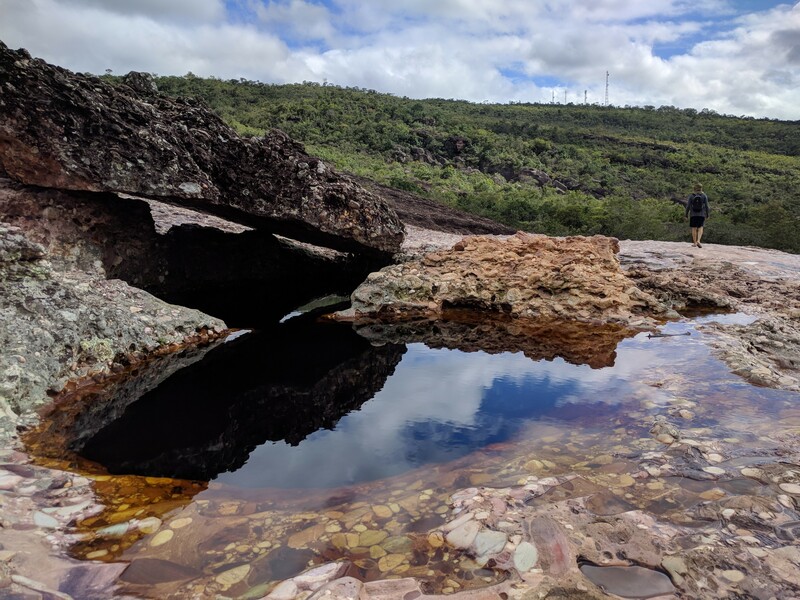 We did another little hike in the morning and saw some sights further up the river that we had explored the previous day. 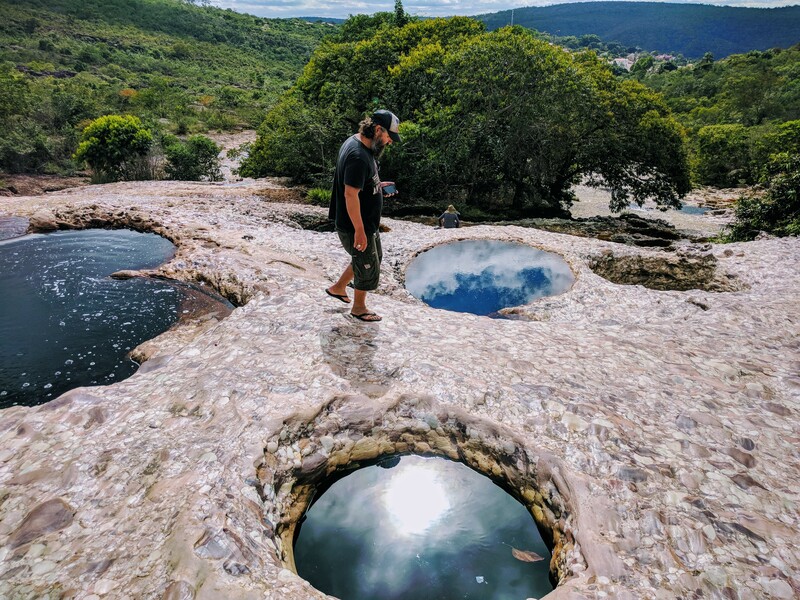 A common feature are the xícaras de chá (cups of tea), little pools of water which take on a dark color from the minerals. 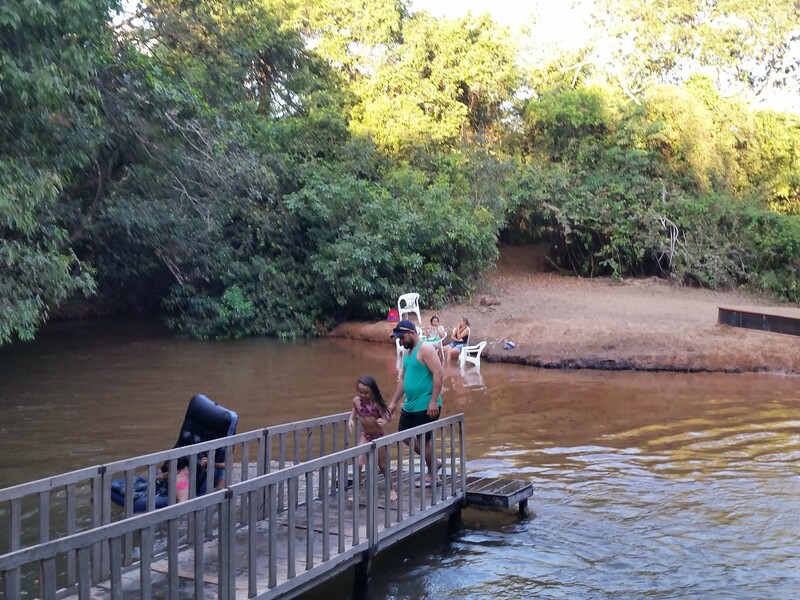 In the afternoon, I decided to take a ride to Poço Azul, an underground lake that was supposed to be quite a spectacle. The route passed over some really rough dirt roads, so Guidini and Farelo decided to stay in Lençois. In hindsight, I wish I would have made the same decision. It was about a 90 minute ride to reach the site. The last 20 minutes were pretty rough, but it wasn’t too out of the ordinary for us. In the parking area, I pulled up alongside a couple of other motorcycles which were packed to travel. Once again, I knew I was about to make some new friends, especially since one of the bikes was Annie’s sister, an NC750X. The riders returned just as I was changing my clothes. 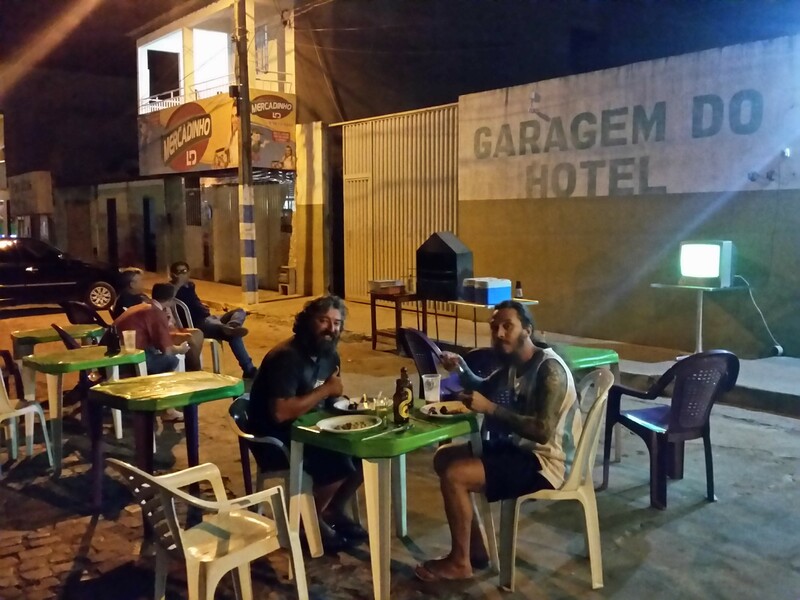 They were Wesley and Gheyler from the state of Rio Grande do Sul. 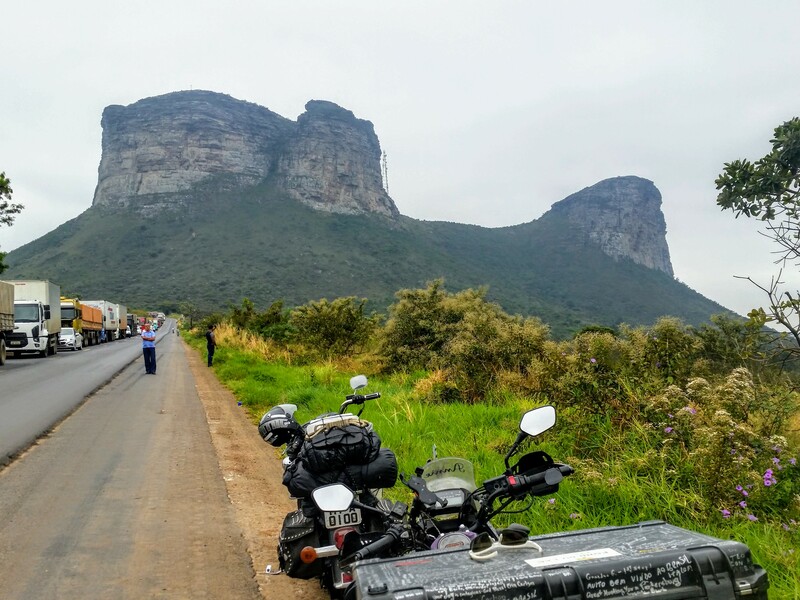 This is the southernmost state in Brazil which borders Uruguay. Like my other friends, they had been travelling for around a month and had seen lots of the country. Our time together was brief, but very enjoyable. I paid my entrance fee, about $10, and took an obligatory shower. Apparently this is required to keep chemicals out of the pool. It was just a short hike down into the cave. It just so happens that I had come during the perfect season at the perfect time of day when the sun shines through the little gap to illuminate the shining blue water. I got the go ahead from the lifeguard and excitedly jumped into the water. 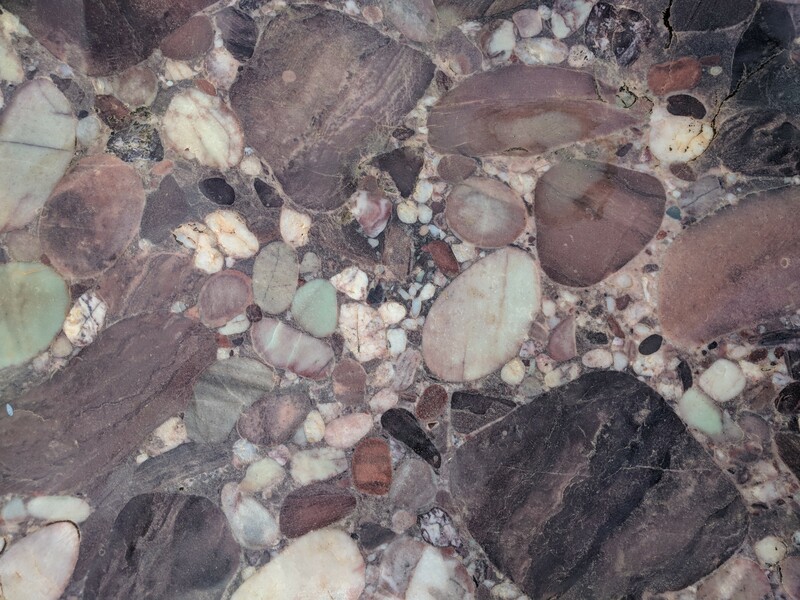 I used my helmet camera, which has a waterproof case, to capture some interesting media. In the picture above, a rectangular bulge is visible in my left pocket. About ten minutes after I got into the water, I realized that my phone was still in my pocket. In so many ways, this was a costly mistake. Realtime update: Yep…it’s as dead as a doornail. I’d purchased this phone, an LG Nexus 5X, specifically for this international chapter of my trip. There are just a few models that work with Google Fi, the service that I use to connect internationally. The service has been great, allowing me to have service in all of these countries I’ve visited without having to hunt down a sim card in each one. I didn’t love the phone. 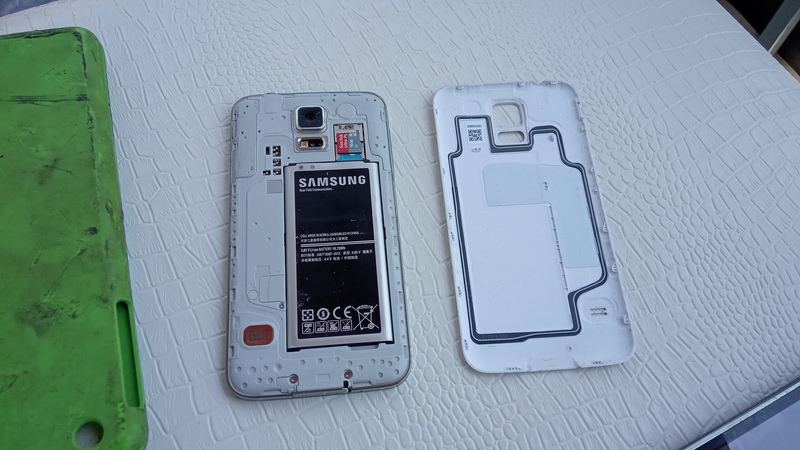 It had paltry battery life, was prone to crashes and had overall sluggish operation. However, I thought the camera was absolutely outstanding. I feel like my pictures of this journey have been much better since I started using it. It handles colors and light contrast so well, that I often have very little editing to do to the original image. I’m pretty disciplined about backing up my data, so I only lost half a day’s worth of photos. This is the most dim silver lining I can think of. It would have been absolutely disastrous if I had lost my pictures of Salvador from a couple days before. Since it is a song place, I would have had to go back. 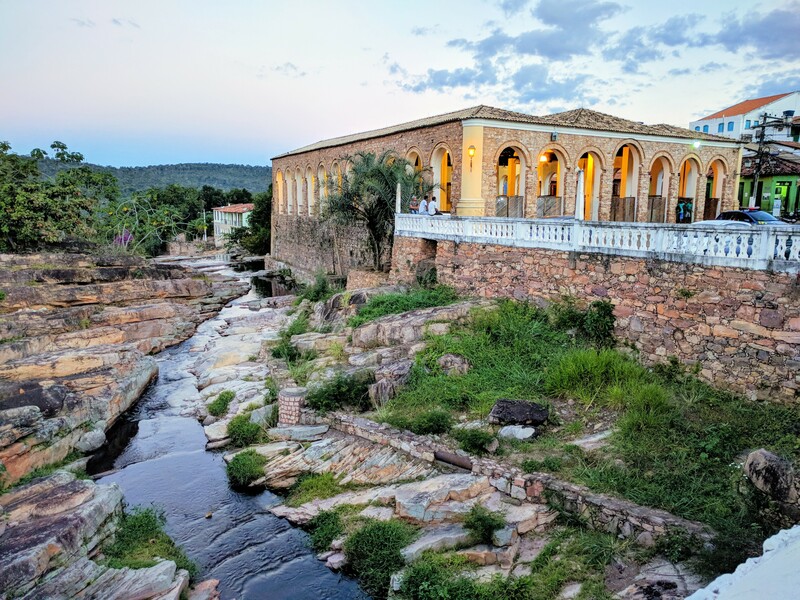 I keep offline maps saved on my other phone, but I’d left that with my other electronics back at the pousada. Thankfully, I was able to navigate the route from memory. It really wasn’t too hard. 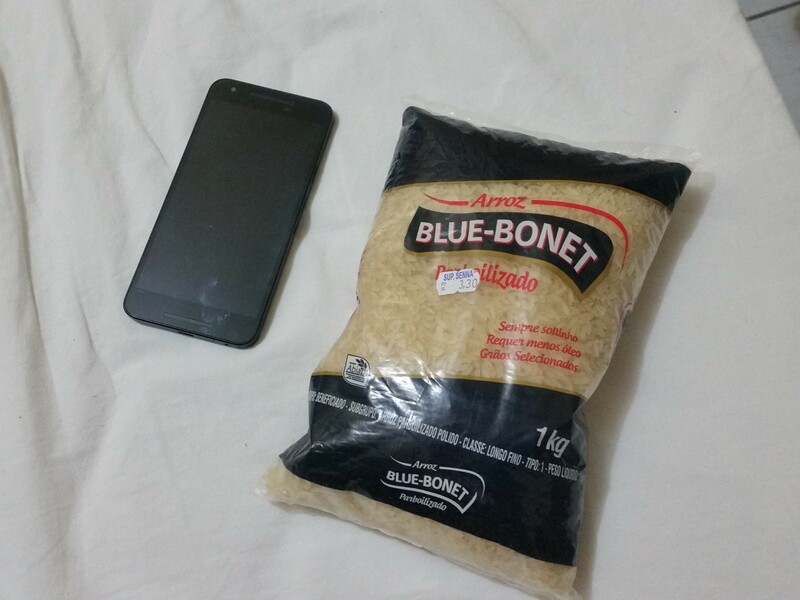 I stopped at a grocery store to buy a bag of rice, hoping against hope to salvage my drenched device. The pictures henceforth will be from my Samsung Galaxy S5. I have two of them along for the journey. This phone is kind of like that old car that spits and sputters, but that always runs. The camera was pretty good when it came out four years ago, but technology has progressed quite a bit since then. 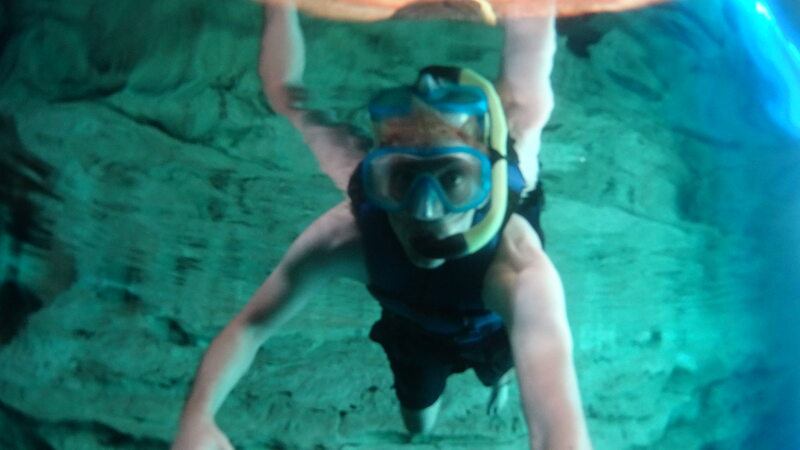 But perhaps the S5’s best feature is that it is rated as being waterproof for up to 30 minutes of submersion. Are you taking notes, phone companies? I hope the image quality henceforth won’t go downhill too much. I plan to spend more time in editing, trying to get the most out of this old device. I stayed in for the night, getting some work done and planning ahead since it was now much harder to plan on the go. Farelo was on a Triumph Bonneville. 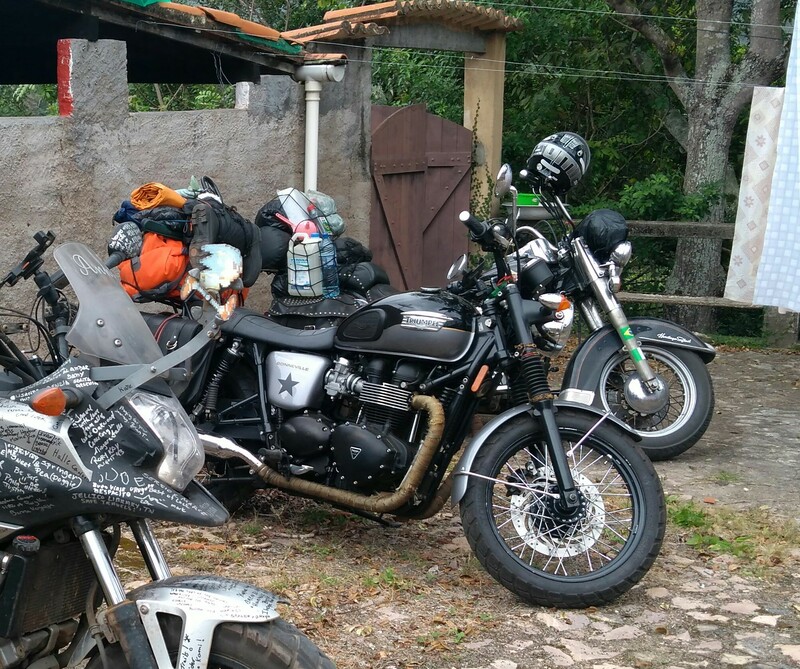 Away we went: An Italian-Brazilian on an American bike, a Swedish-American on a Japanese bike and a Polish-Brazilian on a British bike. I haven’t read Revelations in awhile, but I’m pretty sure this is a sign of the end times. 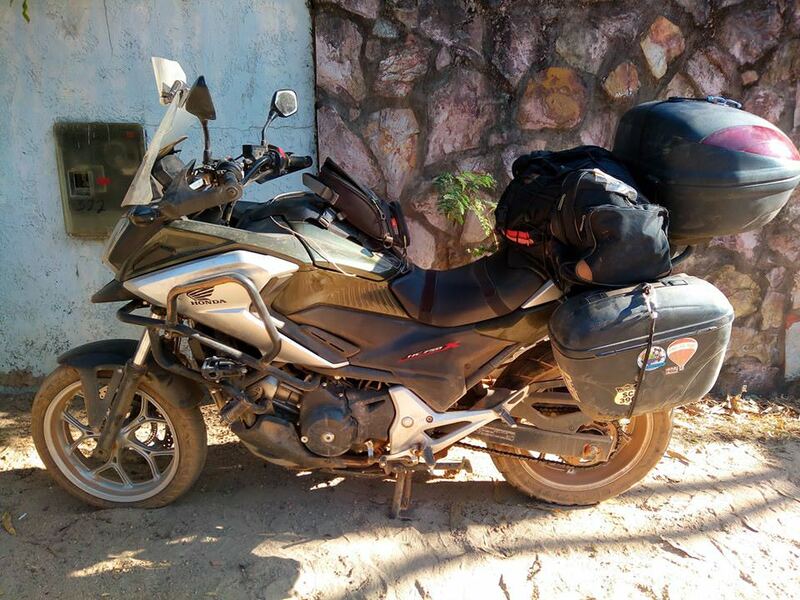 Travelling with other riders is a real mixed bag. 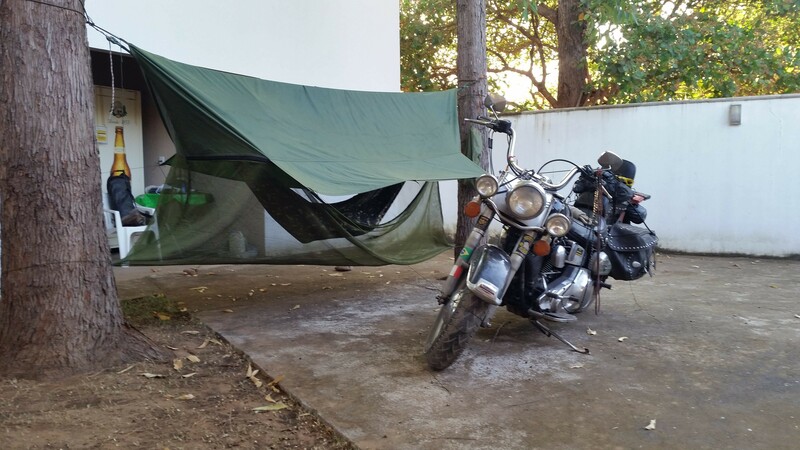 Each motorcyclist has a different style, preferred speed, desire to take breaks and appetite for risk. Depending on how these factors match up, riding with others can either be a real pleasure or a real frustration. Thankfully, these guys and I were on the same page. They traveled at a reasonable speed and liked to stop often. Giudini normally rode lead and he was a real pro. He communicated well, assisted with overtaking vehicles and did a great job keeping us together. Following a capable lead rider makes any day in the saddle more enjoyable. The conditions weren’t great. The scenery was dull, the road was choked with with trucks and the temperature was suffocatingly hot. Still, I found myself having a great time with my new friends. They were perpetually enthusiastic and positive. 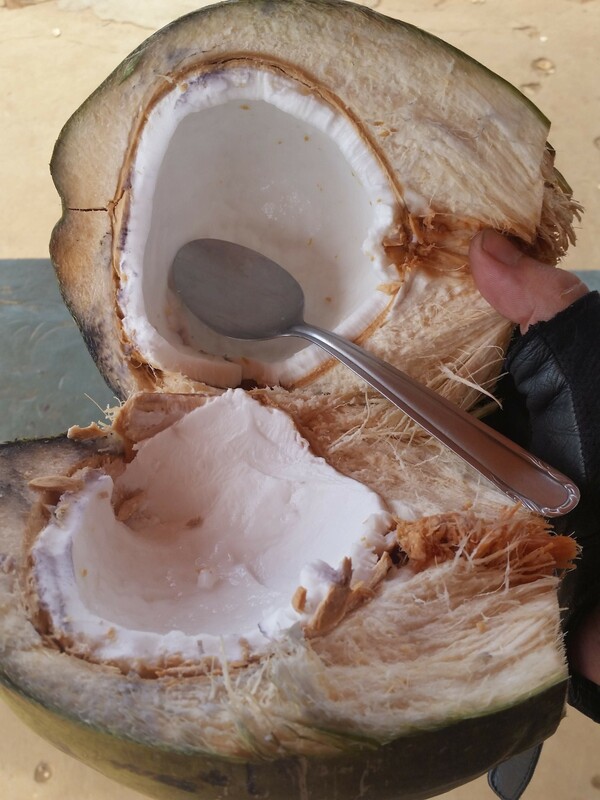 It was the perfect day to stop for a frozen coconut. If you ask nicely, they will even hack it open for you. Just a reminder, guys: Brazilian women are pretty, but most of them know how to handle a machete. Proceed with caution. As daylight waned, we reached the little town of Cristopolis. The hotel there had a triple room that was less than $10/person. The restaurant downstairs also had really cheap food. Guidini and Farelo have been friends for more than 20 years. They worked many years together as military firefighters. After working in this profession for 25 years, one can retire with full salary. It is hard work with very little down-time, but the guys were now reaping the rewards of their labor. Despite still being in their 40s, they were effectively retired. That night, I had a decision to mull over. 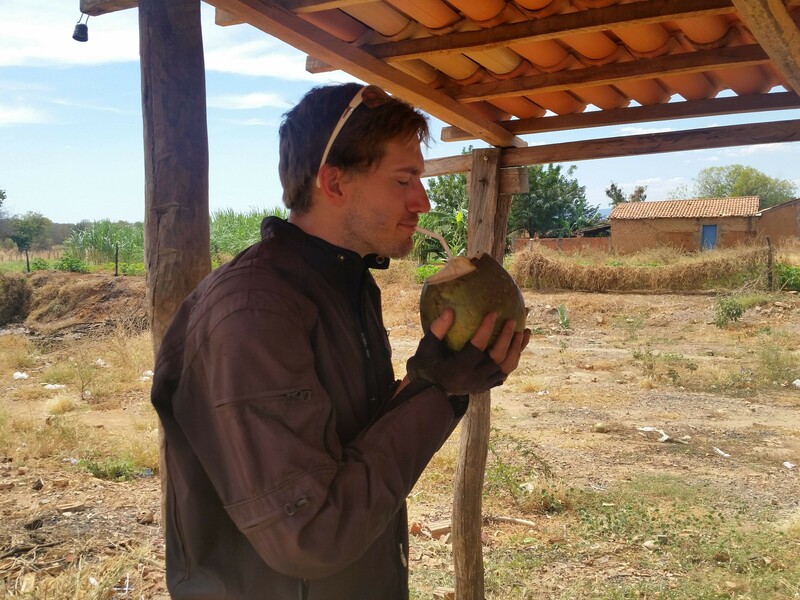 My initial plans were to push on to Brasilia the next day. 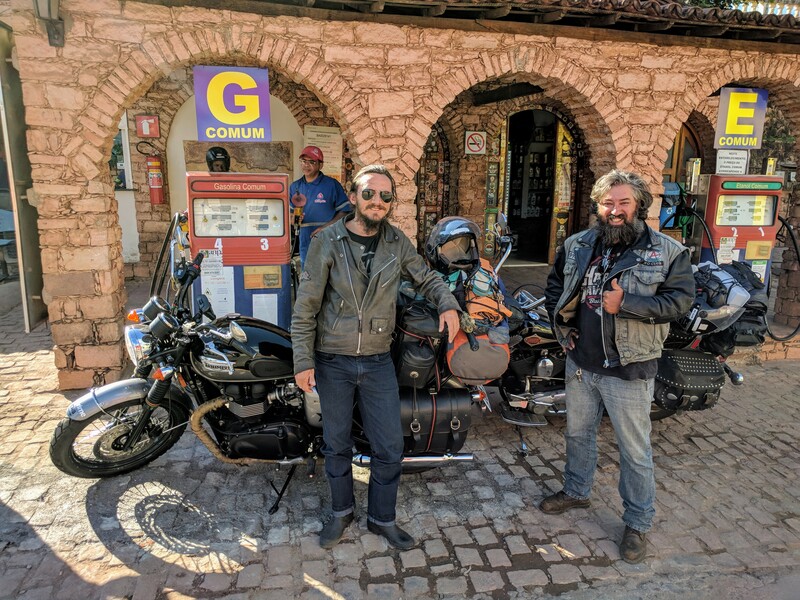 Guidini and Farelo were planning to take a more scenic route, taking four days to get there. I had to decided whether to remain part of their pack or to return to travelling on my own. I was enjoying my time with them, but was still mindful that the days in the northern hemisphere are getting progressively shorter and colder. 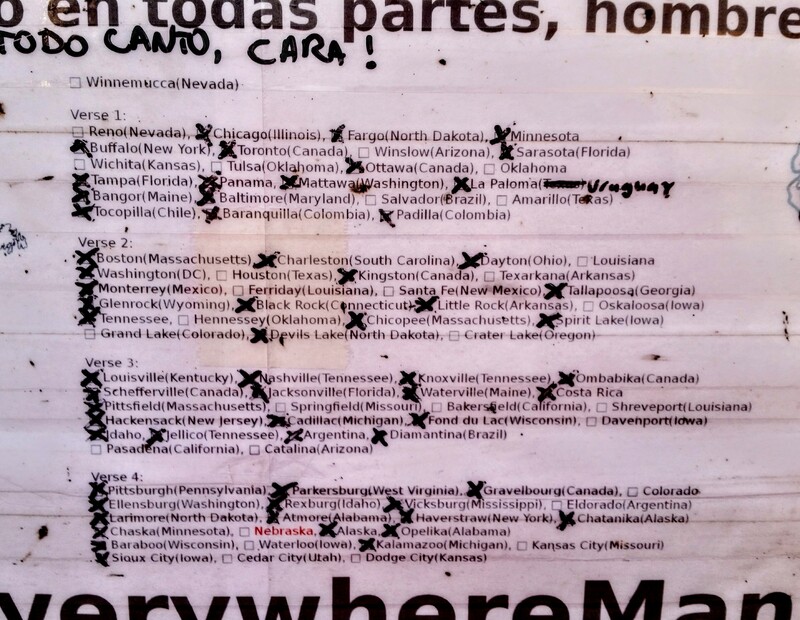 I still have 28 places to visit in the US to complete my quest and I need to finish up before winter hits. I took the night to sleep on the decision. At one construction stop we met a group of other riders. I was thoroughly amused by the attire of one of the ladies. She was clad head to ankle in specialized riding apparel, but her outfit was punctuated with a pair of open-toed high heels. 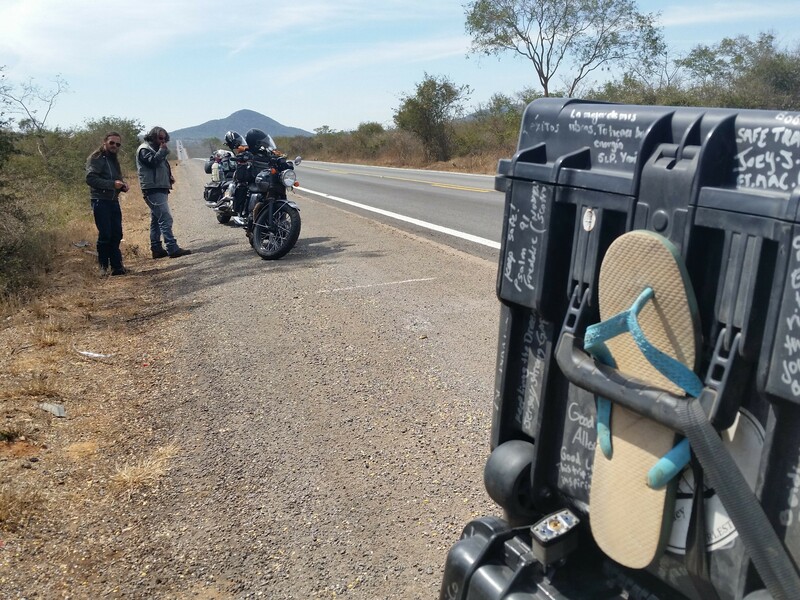 The guys were on my case since I didn’t have a pair of Havaianas, the iconic Brazilian flip-flop. Luckily we found one along the side of the road. I’m still searching for its pair. 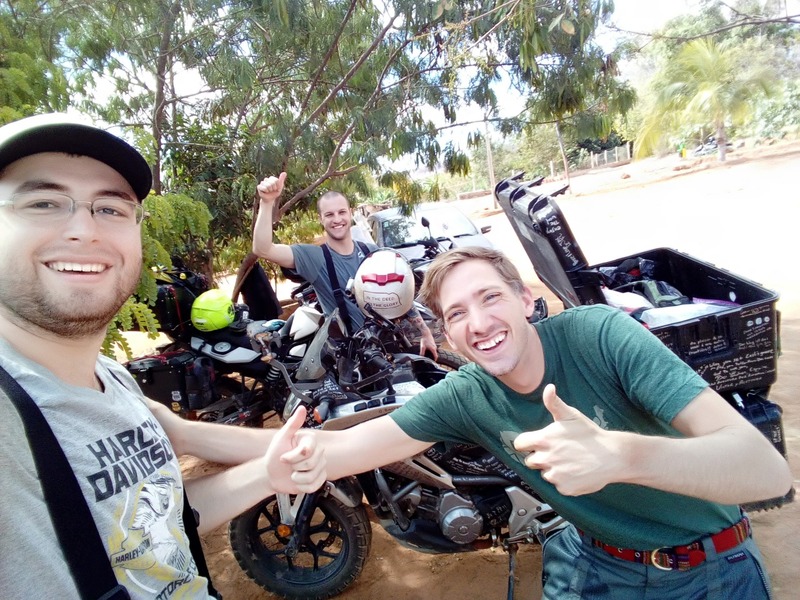 Around noon we crossed from the state of Bahia into the state of Tocantins and had lunch at a little pay-by-the-kilo place. 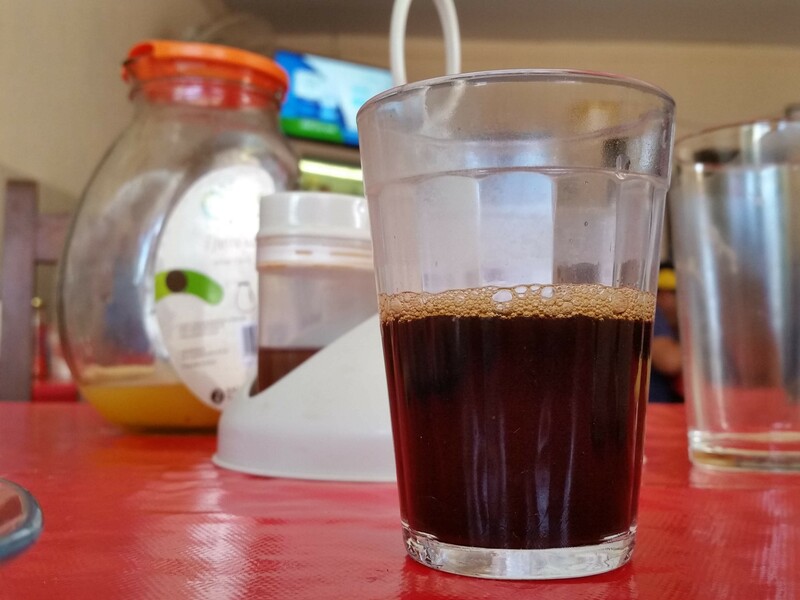 One of the nice things about Brazil is the cafezhino (“little coffee”). At most gas stations and restaurants there is usually a pump style thermos with little cups nearby. It is usually free, but there’s a catch: About 80% the time, it is pre-loaded with an absurd amount of sugar. So much so, that the taste of coffee is scarcely present. I guess when you’re the largest producer of sugar in the world, you have to look for places to use it up. Farelo and I both prefer our coffee unadulterated (I will add creamer every once in awhile, but only on weekends). There was always a moment of suspense as one of us would take the first sip, while the other waited with bated breath to ascertain the result. Either celebratory high-fives or consolatory pats on the back would follow. 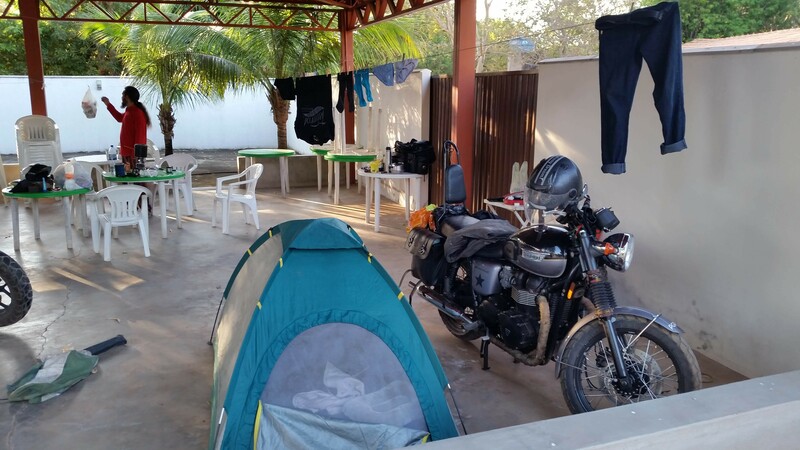 We made our home for the night at a little riverside resort. Perhaps “resort” is a bit of a strong word, but I’m not sure how else to call it. It was a simple place, with no wifi or cellular connection, that had little cabins and camping available. We chose to sleep in tents for about $3.50 a person. 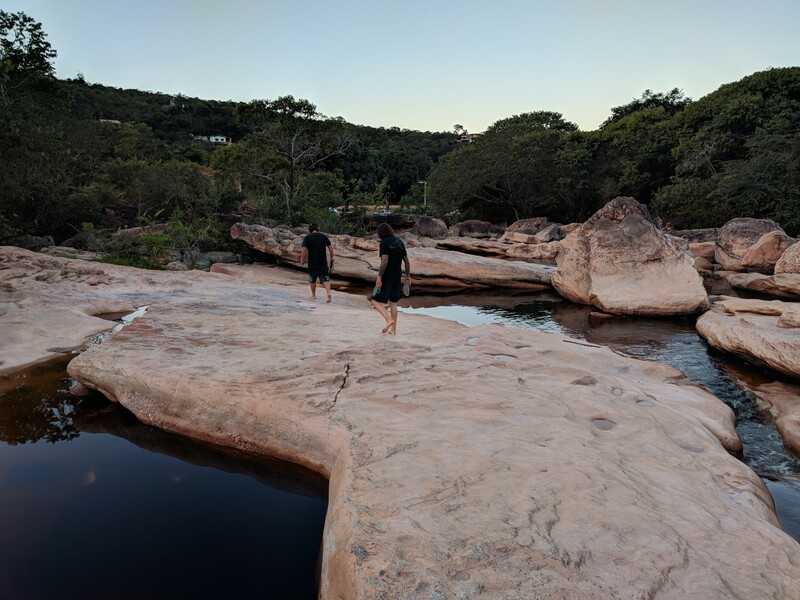 A dip in the river was a great way to refresh after days of intense heat. That evening, I remembered that I’d heard a couple of little clicks coming from my front end earlier in the day. After less than a minute of inspection, my heart sank. There was the slightest amount of play at my front axle. One of the wheel bearings was shot. Longtime readers of this quality publication will note that this is the second occurrence of this issue on my trip (First time here). Though I was very disappointed to discover the problem, I had to feel at least a little thankful that this time I wasn’t in the middle of Yukon Territory. 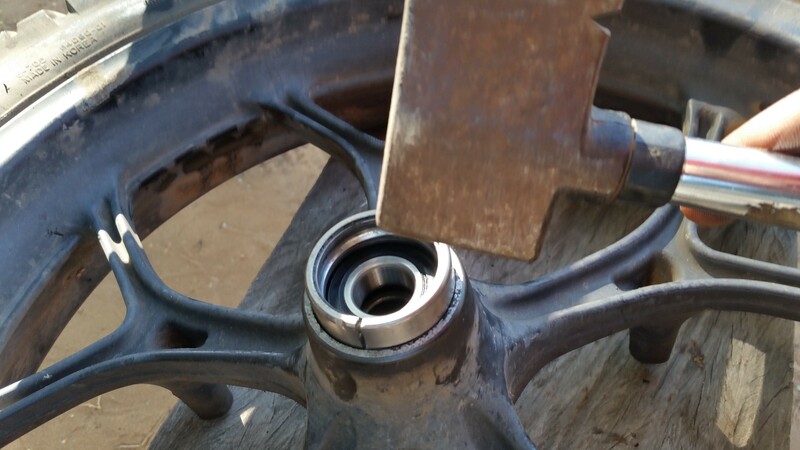 I replaced all of my bearings right before starting this chapter, so this one “only” had 17,000 miles on it. Bearings normally last longer than this, but I don’t think I should be too surprised at this failure. I thought back to all of the unmarked speed bumps that I’ve hit at full speed, all of the bone-jarring washboard roads, all of the jagged potholes that could swallow a scooter. These have been tough miles. Guidini and Farelo made it clear to me that they would do everything they could to help me get the issue corrected, even if that meant a drastic change to their plans. I was really thankful for their support. If it had been a bad rear bearing, I might have been comfortable proceeding cautiously for a day or two, but issues with the front wheel are always more dangerous. I did not feel comfortable continuing on it. Being that we were in such a rural area and given that the next day was Sunday, I was pretty sure that we would be delayed by at least a couple of days. Fourteen months into this journey, I still hadn’t lost a single day to a mechanical issue. I resigned myself to the inevitability that this streak was coming to an end. 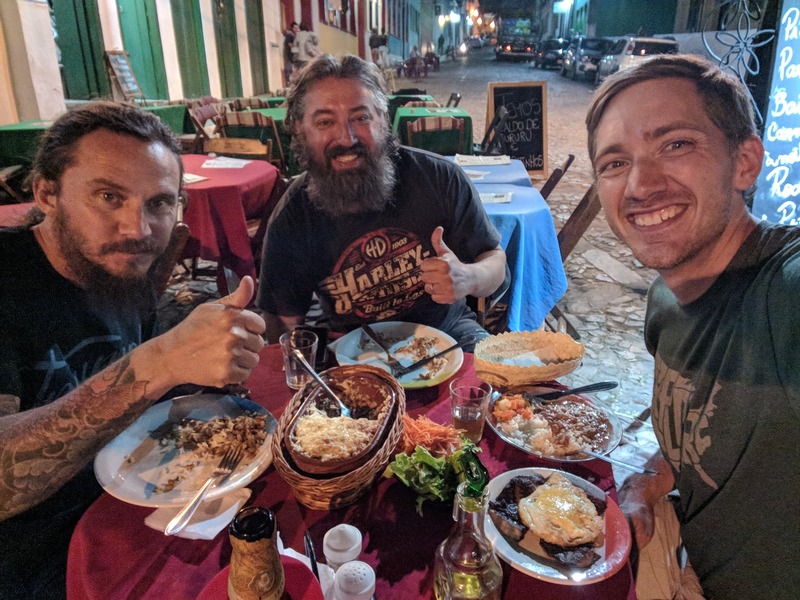 I did my best to enjoy the evening with the guys as we made a simple supper. 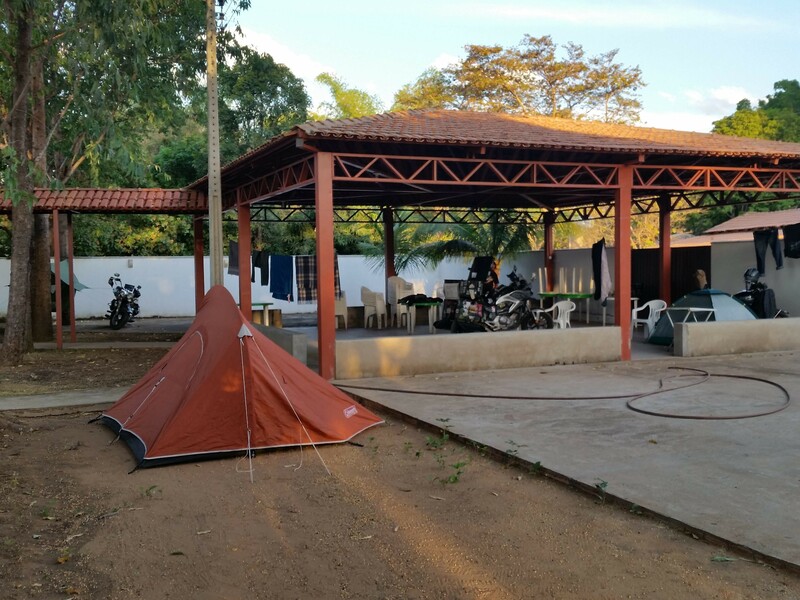 One of the proprietors of the resort, Valdinei, had heard about the travelers in the camping area. He came to chat with us for awhile as we ate. Guidini and Farelo told him about my issue. He thought for a moment, than asked if I had the part number. Still, I felt 95% confident that I had the part number (6204-2RS) memorized. I scribbled it on a piece of paper for him and he said he would check with one of his friends who works in an auto parts store. The same bearing is an internal component in some car transmissions, so I figured it was worth a shot. I retired to my maroon cocoon and tried to sleep my worries away. I almost had to laugh. We got right to work. The hardest part about changing bearings is punching out the old ones. Thankfully, Guidini had a flathead screwdriver with just enough reach. Though I wasn’t carrying spare bearings (Realtime update: I am now.) I did have an old outer ring which helps in the installation process. We had the whole swap completed in less than an hour. 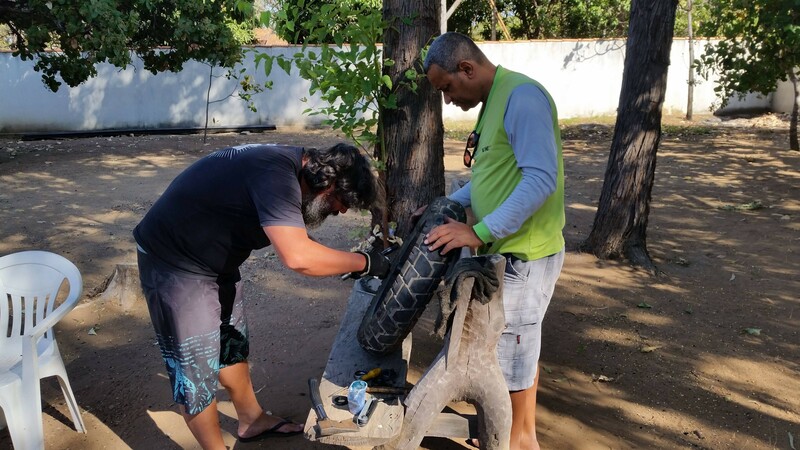 Less than 15 hours after I had discovered the issue, it had been resolved, on a Sunday morning, in a rural area in Tocantins, without me having to travel one mile or even setting foot outside of our camping area. But seriously, is anybody here surprised? Anyone? Bueller? I had to think about how difficult it would have been to resolve this issue had I split from Guidini and Farelo the previous morning. Their company was a true godsend. Obviously the above map has a big line running through its center now. I’m still in Cusco. I haven’t even gone outside today. I’m getting lots done which feels really good and I’m finally getting acclimated to the climate too. More updates coming soon! Hand of God indeed!! I couldn’t have had that fast turnaround with a bike sitting in my shop! Probably not. My shop rates are too high and my inventory too low! 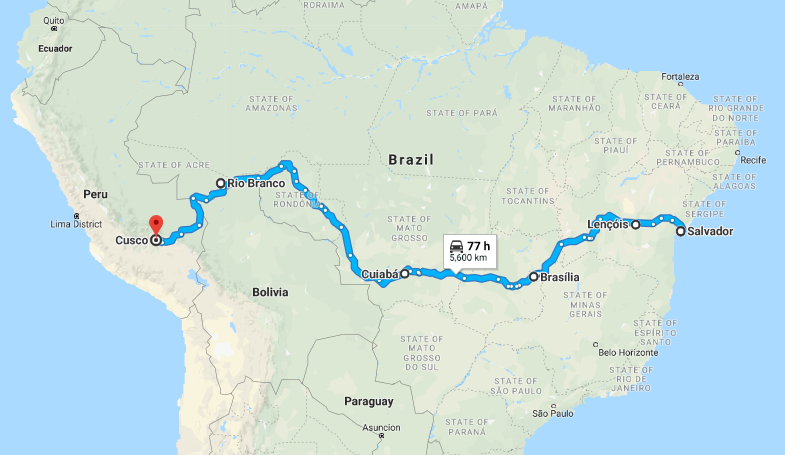 hahahaha, o melhor foi lhe encontrar de novo em Alto Paraíso do Goias kkkkkk, abraço amigo, que Deus lhe acompanhe no resto da jornada. Quais são as hipóteses! Foi ótimo conhecê-lo! Amen! He’s provided in amazing ways! I was going to quote some of your better lines, but there were just too many of them. Good stuff dude, and I do a little writing, so I know of where I speak. You are the right guy, on the right journey at the right time. Keep it coming and Godspeed. Thank you so much. I often agonize over each word. It’s a looong process, but one that is completely worth it! 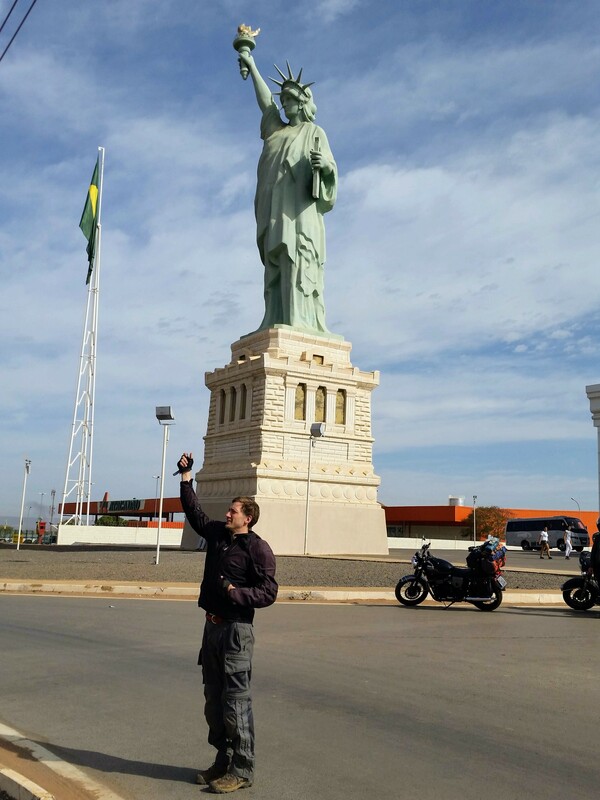 Foi um prazer e uma honra poder rodar ao seu lado, irmão!!! Bom retorno aos EUA!!! I’ve had my share of wilderness too. 🙂 I’m working hard to get home. Hope to see you soon! Your adventure is our adventure! Love following you! You know how much I like my streaks! 34 years without a professional haircut is going strong too!